The combo kit includes the powerful Lynxmotion Sequencer Program for PC. You can control the robot from a PC with the included DB9 cable, or use our DFRobot DF-BluetoothV3 Bluetooth module (SKU:TEL0026)/APC220 Radio Data Module(SKU:TEL0005)/XBee Pro 60mW Wire Antenna (SKU:TEL0004) modules for wireless PC control. 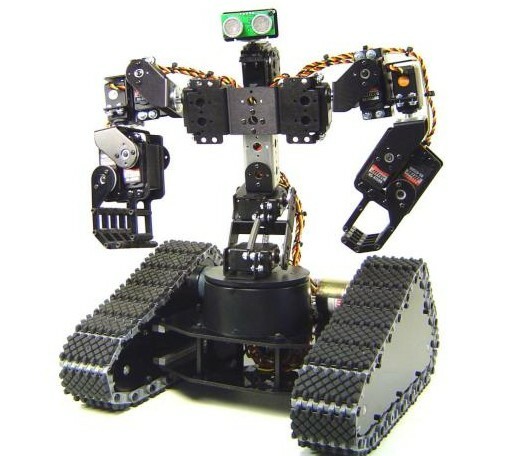 Get Johnny 5 Robot Kit from DFRobot Store or DFRobot Distributor.